As any good Irish girl, I love anything Celtic inspired. 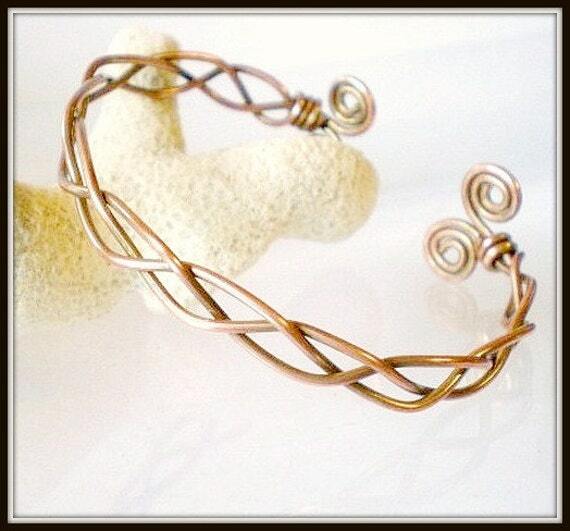 This Celtic Style Braided Copper Cuff is right up my alley. In fact, I'm not even sure if I should post it for ya'll to see since I am so tempted to buy it myself! :) I love the copper color, and the swirls at the ends. Not only is Dawn wonderful at making jewelry, she's an artist too! 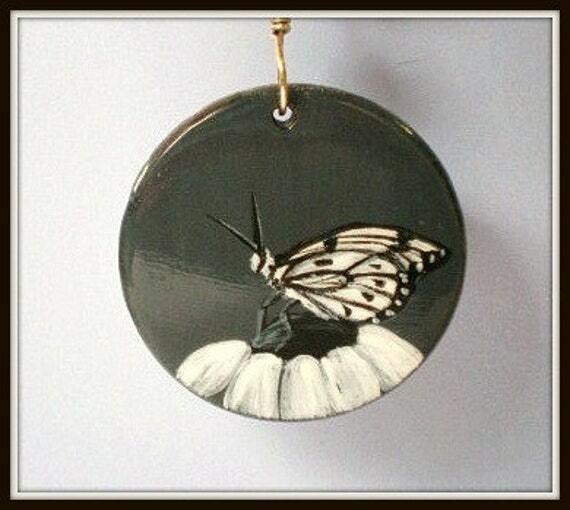 This Black and White Butterfly Pendant Necklace is hand painted and features the artist's signature on the back. It's gorgeous! Come back tomorrow to see my next Featured Shop of the Day! Thank you so much for the fabulous feature! It's really fun to see a couple of my designs in the spotlight! I own several of Dawn's pieces, one of them a very, very special pendant with a painting of my special rainbow cat Merlin. I treasure them all. Dawn's work is beautiful. Dawn's hand-painted pieces are wonderful. Very beautiful items with loads of detail.